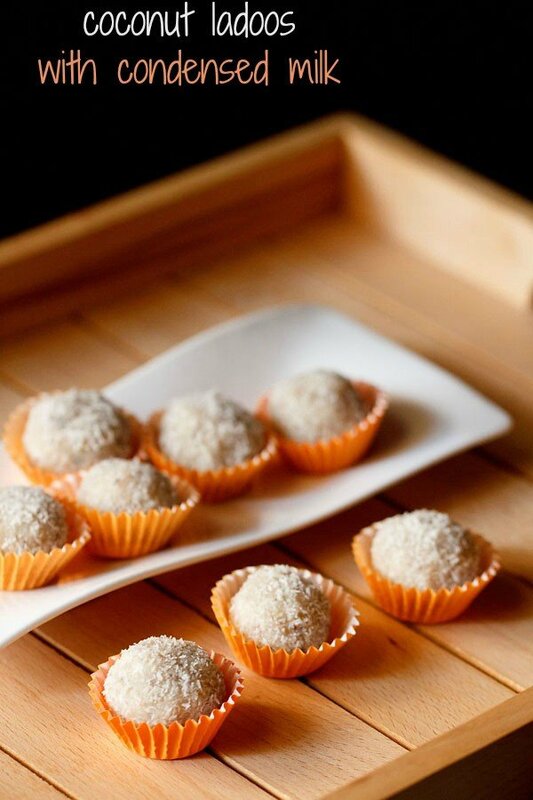 dry fruits ladoo recipe - no sugar, no fat ladoos made with dry fruits. 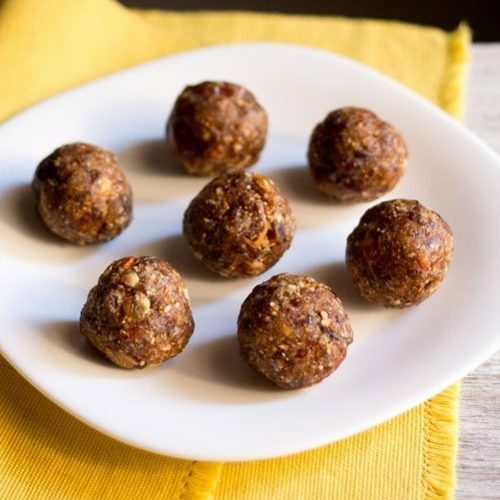 dry fruits laddu recipe with stepwise photos – an easy and quick recipe for making healthy and delicious dry fruits ladoo for the festive season. this recipe is a no ghee/oil, no sugar and a vegan recipe. i have used dates, figs, almonds, raisins, desiccated coconut to make these ladoos. skip the desiccated coconut if you don’t like the coconut aroma. 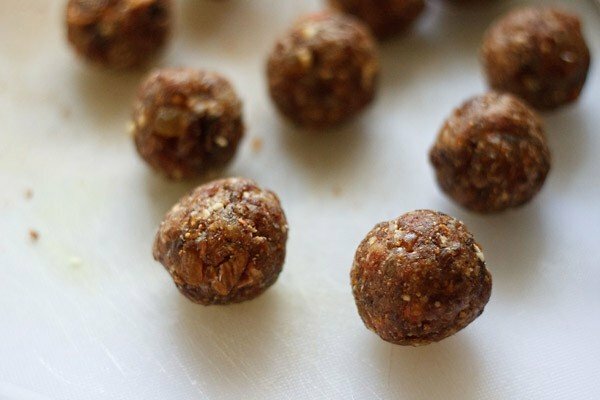 there is no exact recipe to make dry fruits laddu. the proportions of the dry fruits can vary according to your choice. just make sure the dates & figs are a little extra. since the dates and figs here help in binding the ladoos. there is absolutely no need to add any sugar to the recipe. 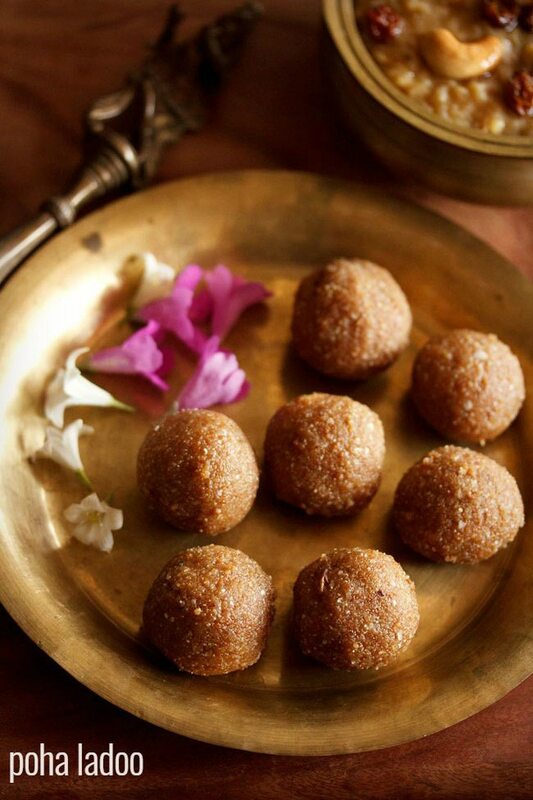 the sweetness from the dates, figs and raisins makes for enough sweetnees in the ladoos…. in fact a little extra sweet. 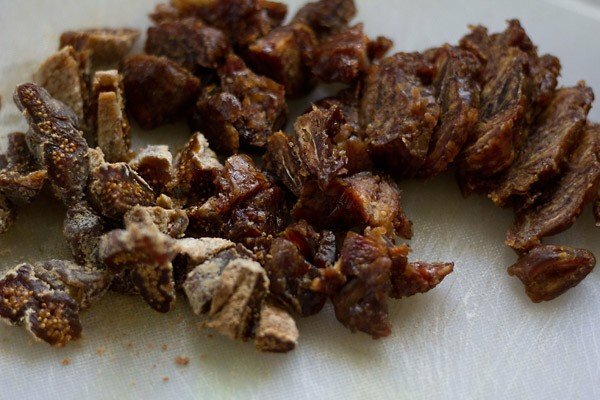 use pitted dates. if the dates have seeds, then remove the seeds and chop them. these ladoos can also be gift wrapped and sent to your family or friends during the diwali season. 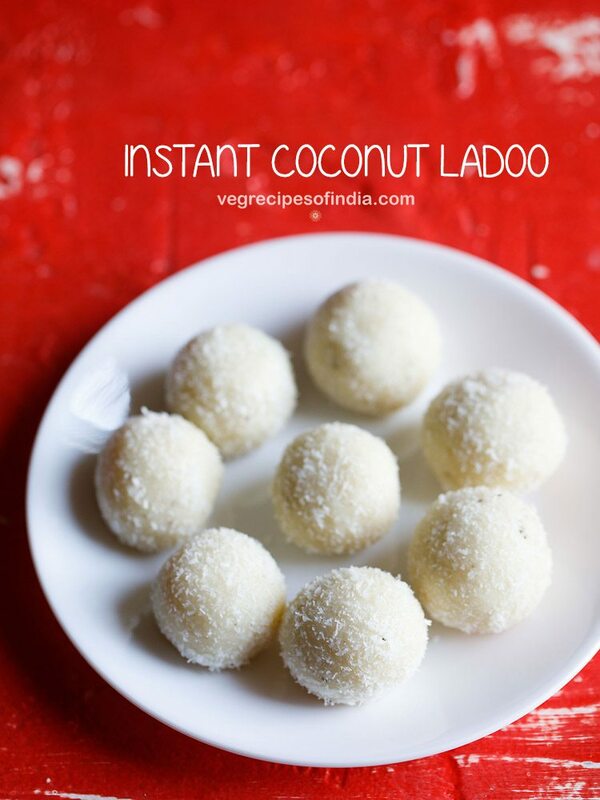 the best part of this ladoo recipe is that they can be had for the navratri fasting season giving a good dose of nutrition and energy….. as well for the diwali festival when you want to make something quick & easy sweet or dessert. they are good for growing up kids also and they are going to love it. these ladoos can also be taken with a glass of hot milk for breakfast. you can also check this badam ladoo, badam halwa and dry fruits barfi recipe. 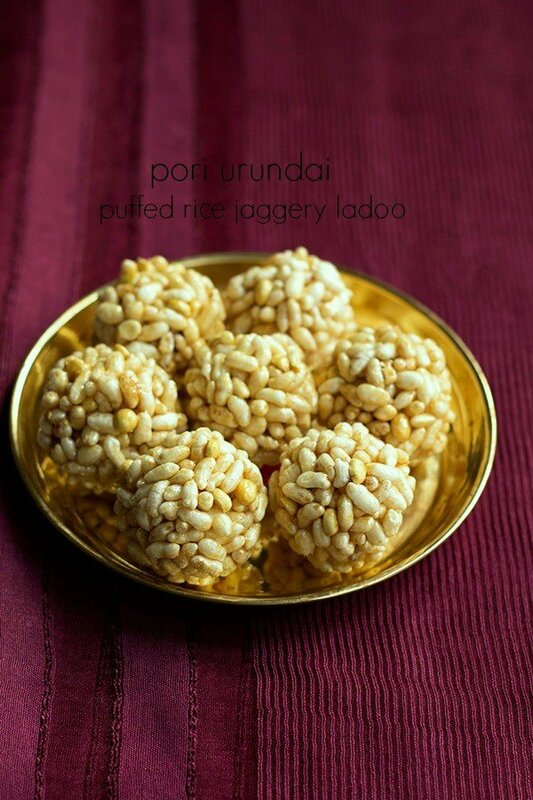 addition of gond or edible gum is also possible in these ladoos. 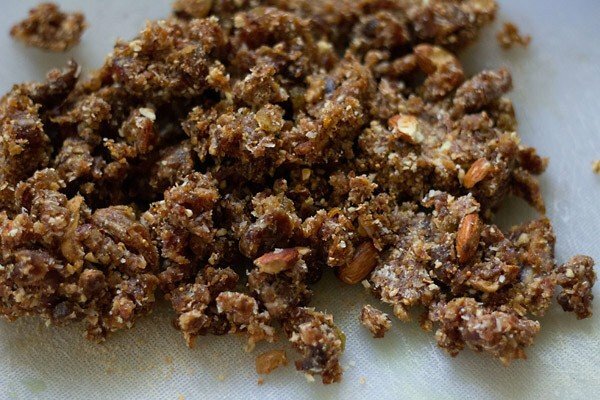 i have a similar recipe which uses dates and edible gum. these will be perfect during the indian winters since they are warming to the body. since the gond ladoos are ideal for winters, i will be making them in winters. shall post the recipe then. 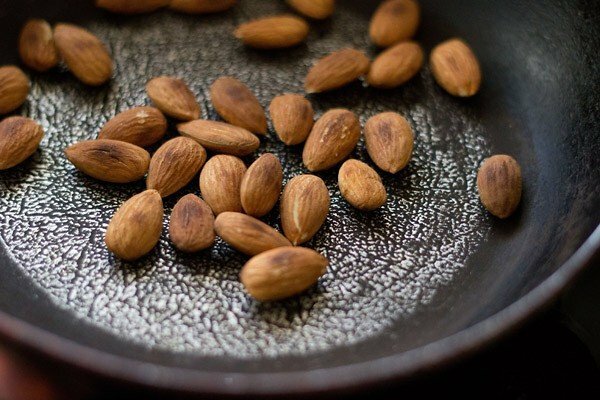 firstly begin to roast the almonds in a pan till they get browned. keep stirring the almonds at intervals. whilst the almonds are roasting, chop the dates and figs. also peel the cardamom pods and powder the seeds coarsely in a mortar-pestle. in a dry grinder add the chopped dates, figs, cashews, raisins, almonds, desiccated coconut and the coarsely powdered cardamom powder. grind to a coarse mixture and spread on a tray or plate or take the mixture in a bowl. 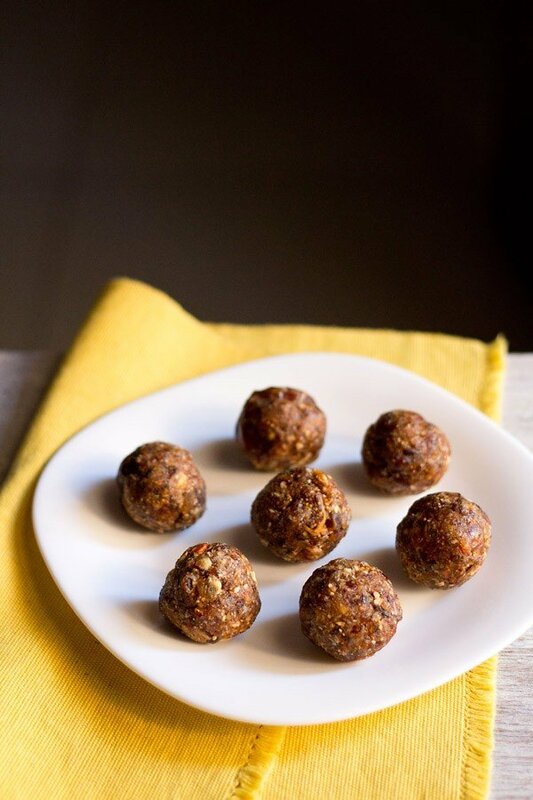 make small balls from your hands and the dry fruits laddu are ready. if the figs are too dry, then soak them in hot water for a couple of hours. then drain them well and then chop them. 1: firstly begin to roast the almonds in a pan. keep stirring the almonds at intervals. 2: whilst the almonds are roasting, chop the dates and figs. also peel the cardamom pods and powder the seeds coarsely in a mortar-pestle. 3: in a dry grinder add the chopped dates, figs, raisins, almonds, cashews, desiccated coconut and the coarsely powdered cardamom powder. add the roasted almonds. its alright if they are hot or warm. grind to a coarse mixture and spread on a tray or plate or take the mixture in a bowl. 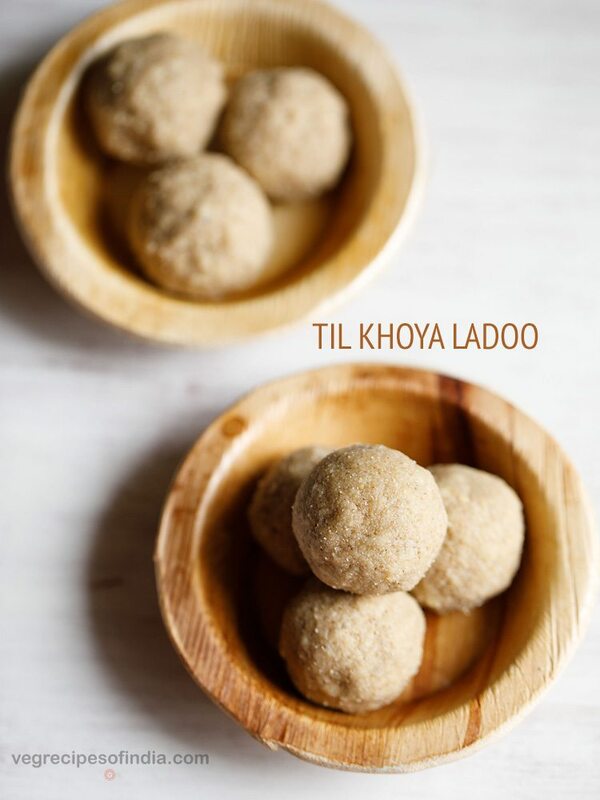 4: make small balls from your hands and the dry fruit ladoos are ready. 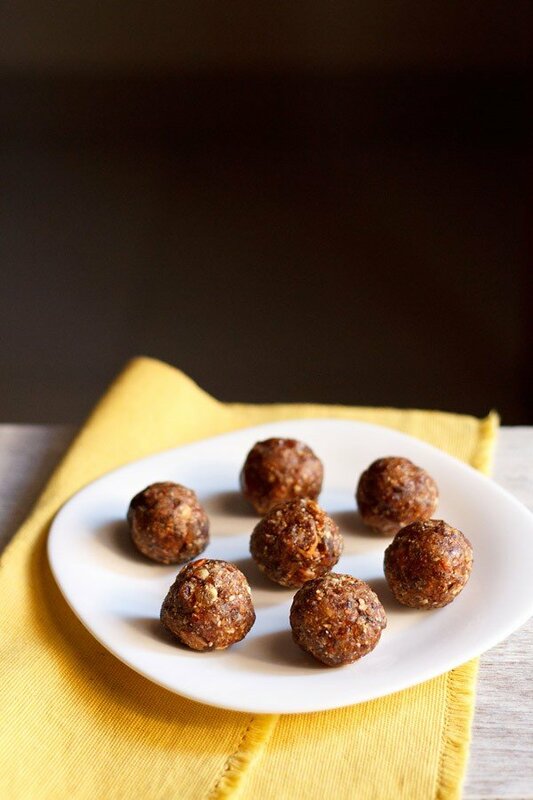 5: serve the dry fruits laddu immediately or store in an air tight container and refrigerate. dry fruits ladoo stays good for a few days but i don’t think they will last so long as they are really delicious and will get over soon. can roasted edible gondh be added? if so how? you can add gond. i have never used roasted gond. so i do not know how it is added. we always fry gond in ghee till they puff up. then break them or powder and then add. Very nice & nutritious recipe it is. I will surely try this. 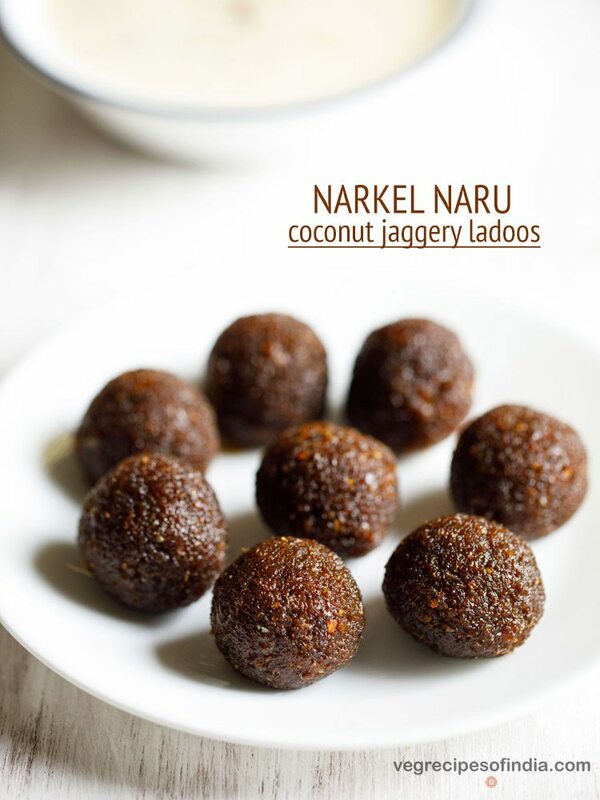 One question is there in my mind that whether we can add other dry fruits like walnut etc in these laddoos? One more thing i want to tell that cashew are included in the ingredient list but there is no mention of it in the recipe. thanks anupam. yes you can add walnuts. i will add the cashews part in the recipe. i skipped it. thanks for letting me know. Laduu were delicious but were very sticky. Can you suggest what could have gone wrong? there will be slight stickiness due to the dates. the quality of dates also make a difference. if the dates have more stickiness, then the ladoos will also be sticky. hope this helps. can fig be omitted if yes then what can be added ? you can skip the figs and increase the dates in the same proportion. Good..just wanted to know how long it will.last as prepearing for son’s hostel. As the food is not gd in hostel and he needs these..is there ant other nutritious dish for lang lasting .15..30 days..for young people. welcome asheesh. dry fruits do not get spoiled. so it can last for one month. you can try wheat flour ladoo. Excellent recipes Dassana .. wow! Awesome recipe Dassana….I was looking for vegan recipes and found this….I also love your cookies recipes….All in all a great site I must say! thanks bhakti. glad to read your sweet feedback. So many recipes n simple steps by u make it easy for us. I prepared dry fruit ladoos n its so yummy my 2.5 yrs old son luvs it. He ate 3 ladoos at a time and he calls it chota bheem ladoos. Tried and tested….tastes great and super easy to make. thanks pragya for trying the ladoos and giving feedback. Sounds healthy and tasty too!